Courtyard Roseville Galleria Mall/Creekside Ridge Drive is the premier choice among Roseville, CA hotels for value and generous hospitality. We're located at the center of Roseville with only a short trip from historic Sacramento, local golf courses, & area companies, making our location ideal for both business and leisure travelers. Visit major companies such as Hewlett-Packard, Oracle, Adventist Health, Cerner, Liberty Mutual & more. We are also near Hardwood Palace and The Falls Event Center. A walking distance to Westfield Galleria, Creekside Town Center, & the Fountain at Roseville. Whatever brings you to our hotel in Roseville, enjoy our ample amenities and relax in our spacious modern-style guest rooms. Stop by The Bistro for a breakfast or a meal with seasonal food and great selections of wine, beer, & cocktails. 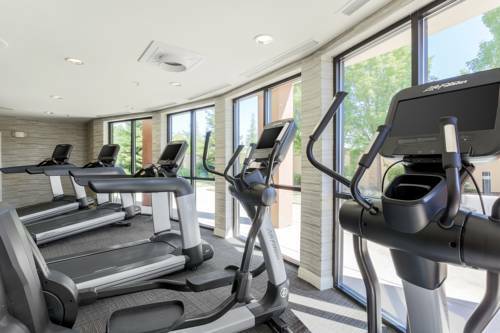 Other amenities include a fitness center, 24hr Market, & free Wi-Fi. Designed for business and equipped for leisure, Courtyard by Marriott is the definitive choice among Roseville, CA hotels.